In MEmu 6.0, we upgrade MEMU engine for way better performance, especially in OpenGL graphic mode. In addition, you would love to use Chrome-like Tabs to switch or close apps easily. That’s a big improvement on user experience. 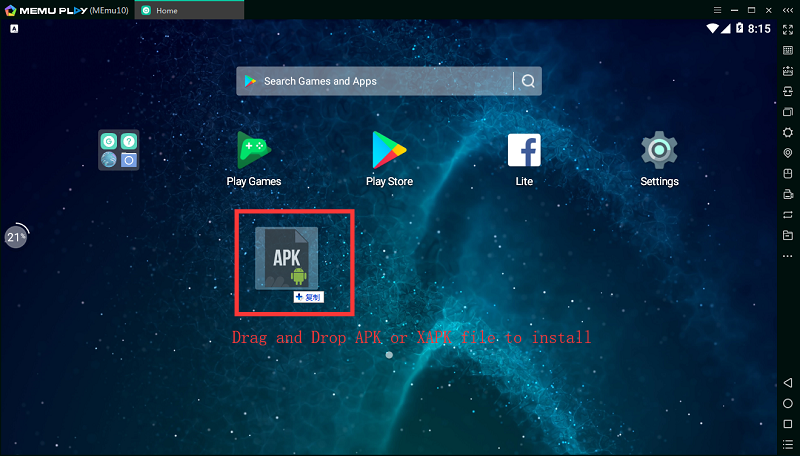 In MEmu 6.0, you can drag and drop XAPK file directly into MEMU to install. 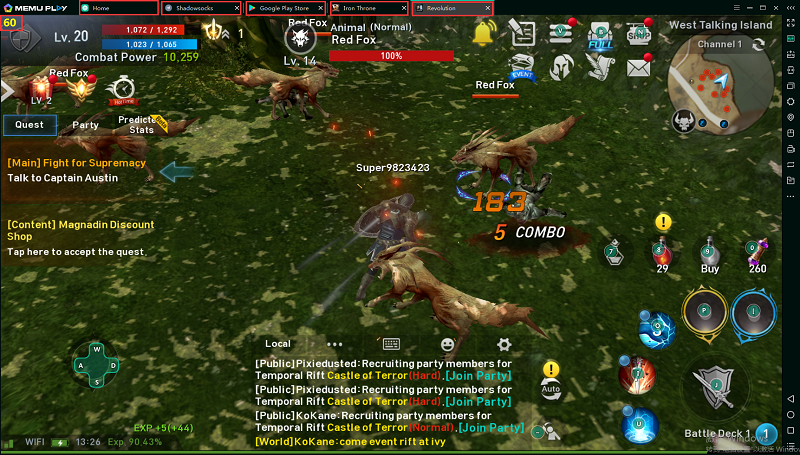 XAPK is an extended APK file including big obb data. That is to say, you don’t need to pull additional data any more after install app. By the way, you can download most of XAPK files from 3rd party website like apkpure.com. 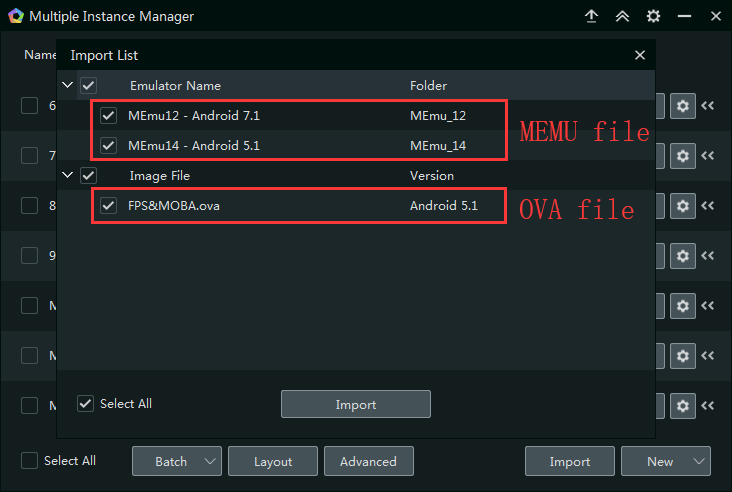 In MEmu 6.0, you can import/restore VM in either OVA or MEMU format image. 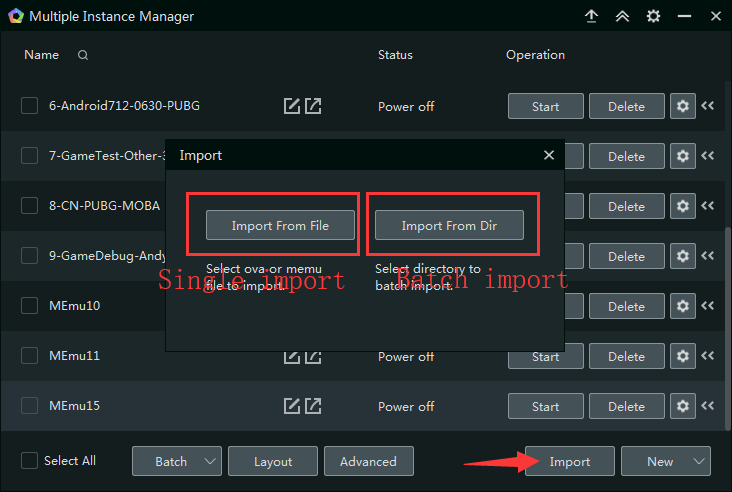 What’s more, you can also batch import/restore them. OVA image is used in export/backup, while MEMU image is standard format saved in D:\Program Files\Microvirt\MEmu\MemuHyperv VMs. In MEmu 6.0, we support a new powerful command MEMUC. With this command, you can easily manipulate VMs within commandline only. 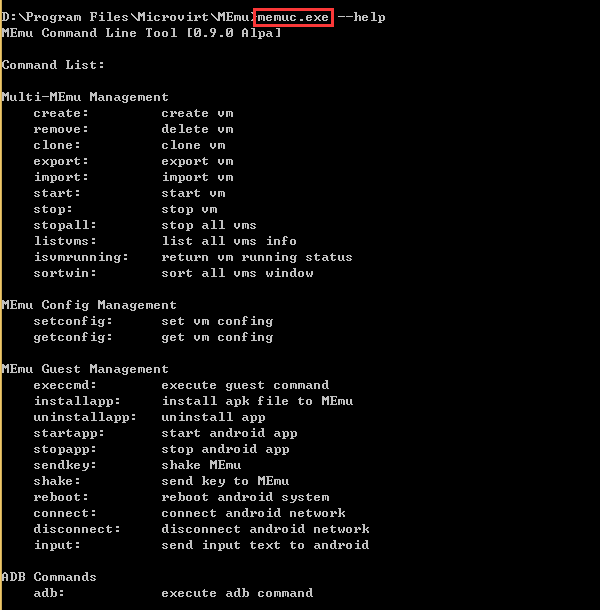 For instance, create VM, reboot VM, install apk, run app, check VM status and etc. Check How to use MEMUC for more details. In MEmu 6.0, you can update Android 7.1 and Android 4.4 system image in Multi-MEMU by clicking upper-corner button. 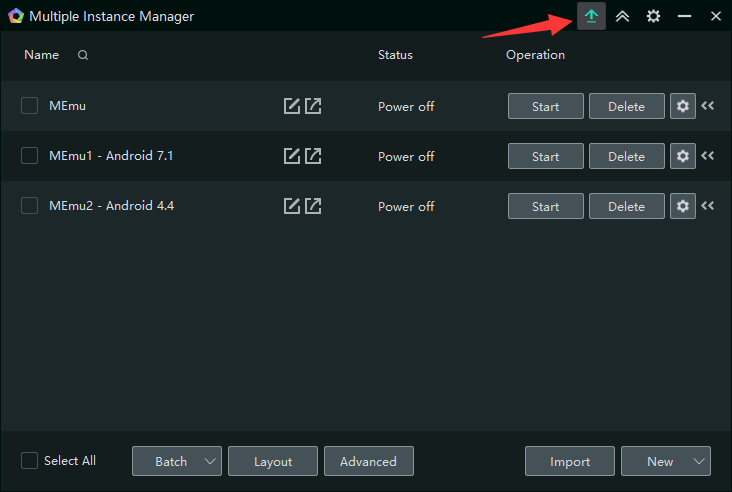 In general, Android 5.1 is the default system image and provided along with installation package. Android 7.1 and Android 4.4 are optional and will be provided through online update. 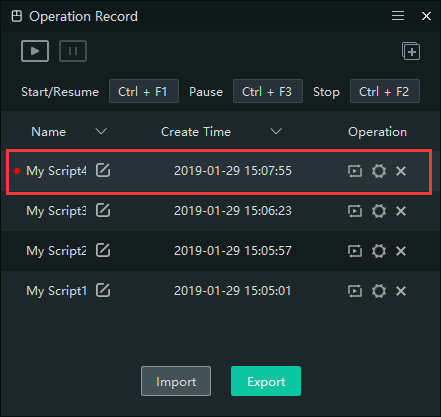 Since MEmu 6.0.8, you can combine several scripts (operation record) into one single script. 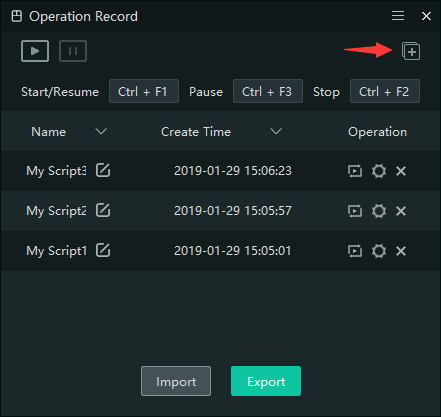 There is a Plus button on the right corner of Operation Record panel. 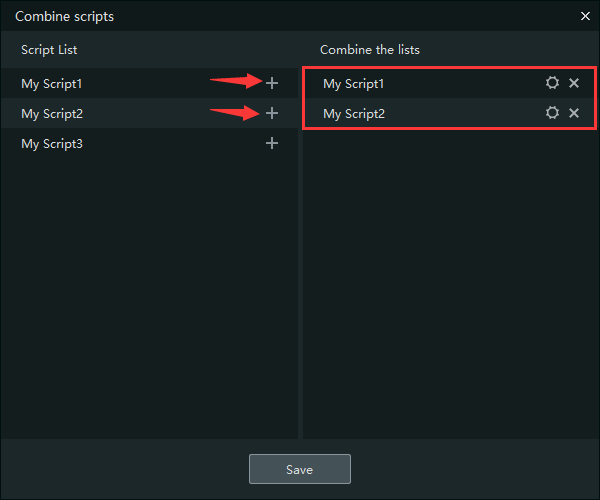 Click it and add target scripts and save, you will get a new combo script in the script list.